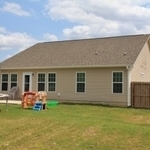 This better than new home has 3 bedrooms and 2 bathrooms with a very open floor plan. 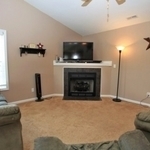 The family room is very large with vaulted ceilings and a beautiful fireplace. 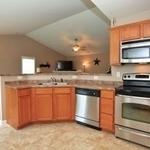 If you like to cook and spend time with everyone in the family room then you have come to the perfect place. 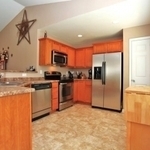 The kitchen has all stainless steel appliance and plenty of counter space for you to cook. It has a pantry as well so that you will have extra room in the cabinets for other things. The kitchen overlooks the family room as well as the dining area so that you will always feel like a part of the crowd. 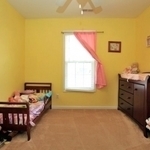 The bedrooms are very spacious and have plenty of room for a growing family or someone just starting out. The master bedroom has a trey ceiling and a large walk in closet as well as its own en suite bath. 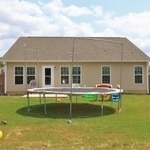 The backyard is huge and fully fenced in with a wood privacy fence that is about $4000 to do if you bought a home without one! 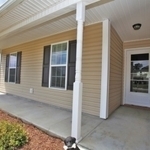 The home has custom blinds, gutters and storm doors to add at least another $1500 in upgrades that you do not have to do! 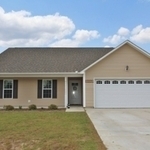 This Chanda floor plan is the perfect fit for you so donâ€™t wait another minute, make your appointment to see it today!